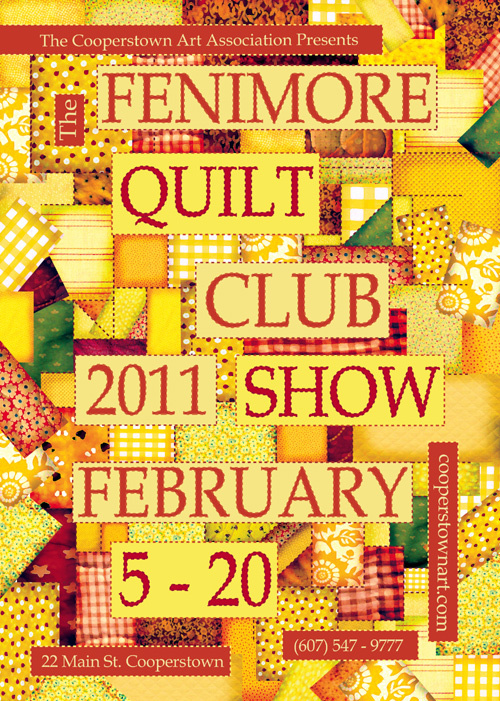 This project is made up of promotional material I developed for the Fenimore Quilt Club Show, an annual exhibit and at the Cooperstown Art Association. I developed the visual concept and theme for all of the show materials. I took and collected photographs of quilt pattern close ups from previous years and arranged them into a "digital quilt" created in Adobe Illustrator and Photoshop. 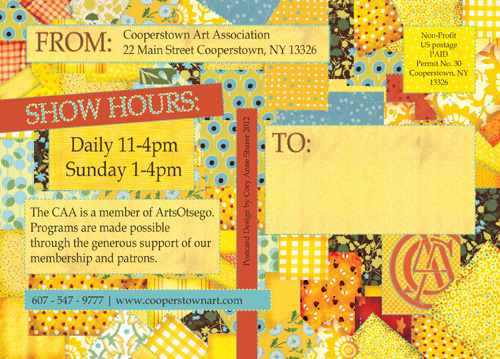 I also applied this design to create emails, ads, website graphics, programs, signage & social media promotion. Tools used: Adobe Photoshop, Adobe Illustrator, my creativity!